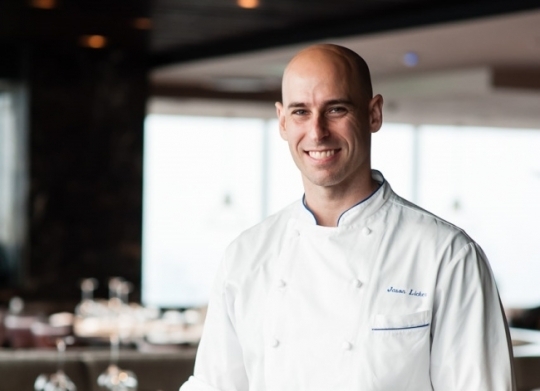 Guests will be able to taste desserts prepared by star patissier Jason Licker at JW Marriott Dongdaemun Square Seoul’s The Lounge. Sweet delights created by Licker are available at The Lounge until the end of November. White chocolate Junmai, matcha and makgeolli desserts are on the menu. Licker was the champion of the Thai version of culinary TV show “Iron Chef.” He has been working in Asia for more than 12 years, successfully adapting to local palates. Each dessert item costs 20,000 won. For more information or reservations, call The Lounge at (02) 2276-3336. A five-course dinner set menu, from entree to dessert sprinkled with truffle, can be enjoyed at 158,000 won. The course menu can be paired with wine at an additional charge of 58,000 won. 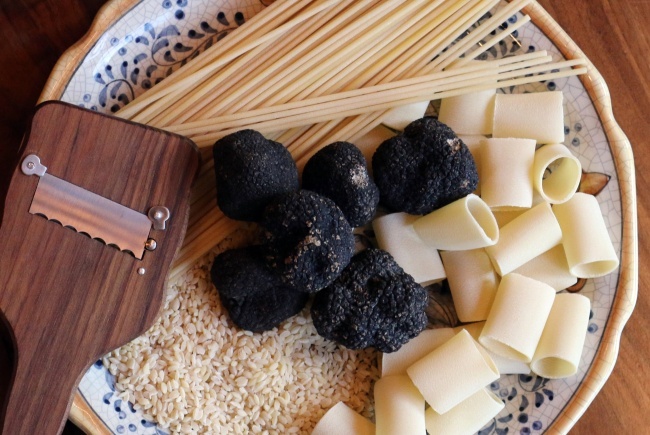 Single menu items can be ordered on weekdays at the price of 28,000 won each, with two or three grams of truffle. It costs 10,000 won to add 1 gram of extra truffle. 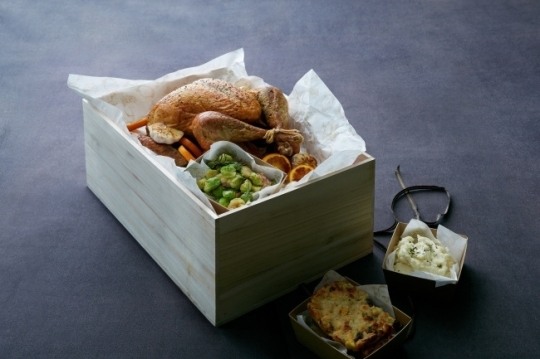 Traditional American-style turkey will be available for takeout from Grand InterContinental Seoul Parnas’ Grand Deli. Each 6-kilogram turkey, marinated for a minimum of 12 hours before being coated with herb butter, is roasted in the oven at a low temperature. It comes with roasted sausages, figs, corn, sweet potatoes, chestnuts and other side dishes, along with giblet gravy and cranberry sauce. The turkey dish is available until the end of the year at the price of 230,000 won. Advance booking 24 hours before pick up is needed. For more information, call Grand Deli at (02) 559-7653. For the festive season, Grand Hilton Seoul has launched two promotions. The hotel’s buffet will offer ribs and roasted turkey with various stuffing until Thursday. A glass of wine will be served during dinner. The buffet dinner costs 100,000 won per person. In addition, a turkey-to-go promotion for year-end celebrations is being offered. The menu includes roasted turkey with mashed potato, cranberry sauce, giblet sauce and stuffing. The promotion runs until the end of December at the price of 250,000 won, and reservations must be made in advance. For more information, call Grand Hilton Seoul at (02) 2287-8274. 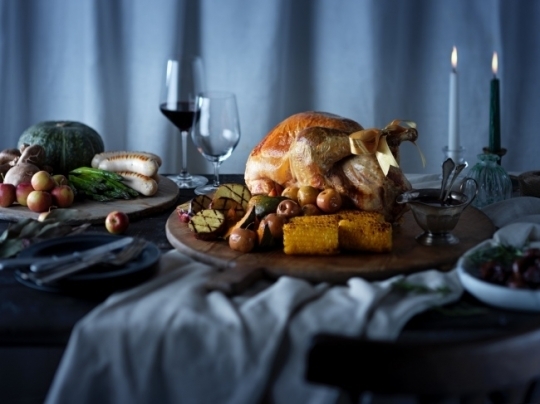 The Westin Chosun Seoul’s restaurant Rubrica is holding a premium roast turkey promotion for Thanksgiving and Christmas. 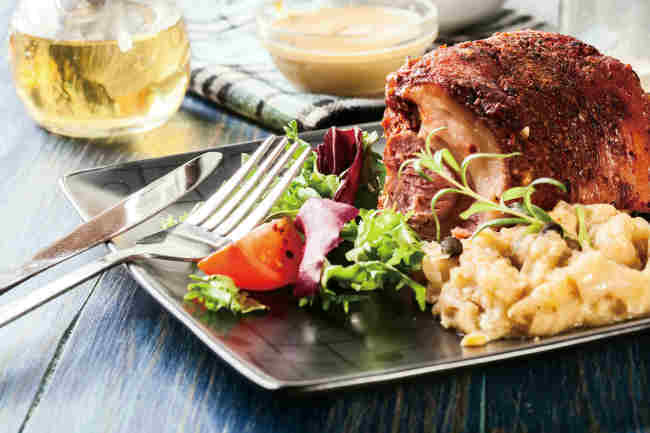 The promotion features a 7-kilogram roast turkey with chestnut stuffing, cranberry sauce and gravy or 7 kilograms of prime ribs flavored with peppercorn. The turkey and ribs come with mashed potatoes and cabbage. Guests can add additional side dishes or desserts at additional cost. The promotion is available until year’s end, and reservations must be made at least three days in advance. The 7-kg whole roast turkey meal is priced at 270,000 won and the prime ribs are 720,000 won.